Dr Anna Grodecka is a graduate of Collegium Medicum UMK in Toruń. For 4 years she worked as an anesthesiologist at the University Children’s Hospital in Krakow. At the same time, as an assistant at the Department of Anaesthesiology at the Collegium Medicum of the Jagiellonian University, she was involved in didactic and scientific work. She conducted classes with students of the Faculty of Medicine and students of the School of Medicine in English. She completed many courses and internships in Poland and abroad. She is a certified ETC instructor of the Polish Resuscitation Council. 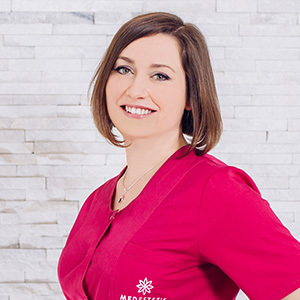 Since 2009, she has been dealing with aesthetic medicine. She gained her skills at renowned centers in Warsaw and Krakow. She successfully performs many treatments in the field of both aesthetic and anti-aging medicine. She has been constantly increasing her qualifications by participating in trainings, conferences and scientific congresses. 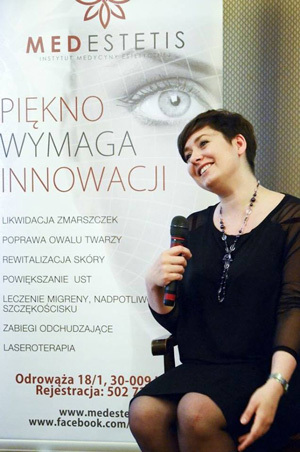 She is a member of the Polish Society of Aesthetic Medicine and Anti-Aging of the Polish Medical Society and World Society Interdisciplinary AntiAging Medicine (WOSIAM).